You're in the loop for Charlie and the Chocolate Factory! We'll email you before tickets go on sale in your area. 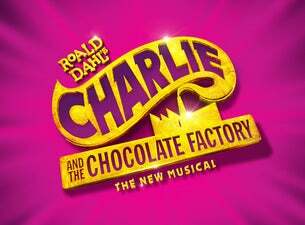 Get email alerts and never miss an onsale for Charlie and the Chocolate Factory! Want to broaden your search? Search for tickets across multiple dates. Experience the wonders of Wonka when Roald Dahl’s spectacular new musical, Charlie and the Chocolate Factory opens its factory doors in Sydney from January 2019. Willy Wonka is opening his marvellous and mysterious chocolate factory to a lucky few. That includes Charlie Bucket, whose bland life is about to sweeten with colour and confection beyond his wildest dreams. He and four other golden ticket winners will embark on a mesmerising joyride through a world of pure imagination. Now’s your chance to experience the wonders of Wonka! Get ready for the Oompa-Loompas, incredible inventions, costumes and sets and more, more, more at this everlasting showstopper! Hold your breath. Make a wish. Count to 3 and get ready for a mesmerising joyride through a world of pure imagination. Get your golden ticket today! Which Charlie and the Chocolate Factory event are you going to?